Let the Waaagh! 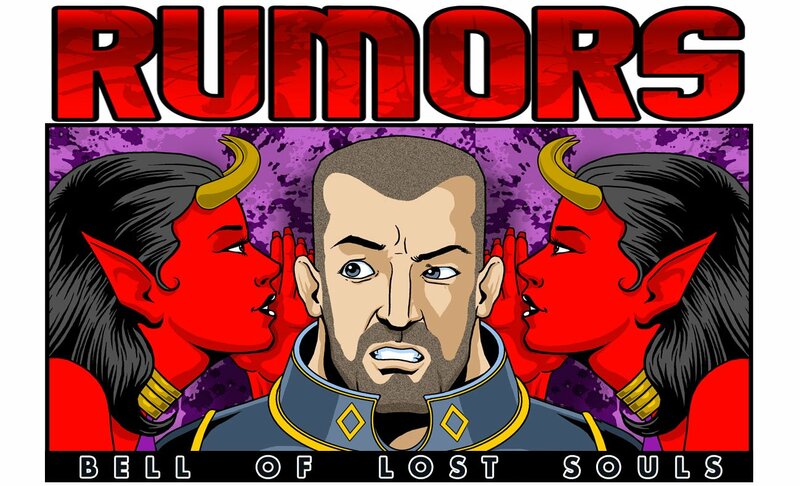 sound, for there’s a new Ork boxe that’s just broke through the surface on the internet. 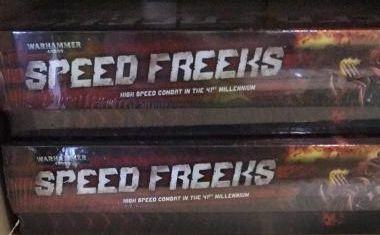 Bearing the text Speed Freeks, and definitely released for Japan, this box features the tagline: High-speed Combat in the 41st Milennium. The internet is a truly wondrous place. 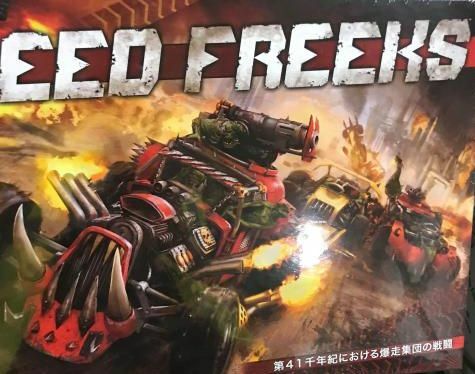 Today we have a look at one of the first Ork boxes we’ve seen in a while–but it seems to raise more questions than it does answers. Is it a new boxed set? Is it a new game? The tagling High Speed Combat in the 41st Milennium makes me wonder if this isn’t some kind of Gangs of Commorrragh-esque specialist game? Maybe one that’s meant only for Japan, given the writing on the box. But let’s not get too far ahead of ourselves just yet. Vigilus comprises a number of continent-sized hivesprawls that, in recent years, have become filled to overflowing with refugees seeking to escape the horrors besetting the worlds of the Imperium Nihilus beyond its aegis. Each such sprawl is protected by psychically charged Bastion-class force fields that render comatose any who would seek to breach their boundaries, enabling the defenders to slaughter them at leisure. These force fields proved so effective that even when an Ork Waaagh! smashed into Vigilus, the greenskins were unable to assail the hivesprawls beyond, so took to seeking entertainment elsewhere by engaging in violent races across the sweeping open plains that separate the vast hivesprawls. This does seem to fit the bill. We’ll keep an eye out for more news but in the meantime, internet, get out those deerstalker hats and Watson slashfics, it’s time to go detectiving.